The 23rd edition of the Official Spanish Language Dictionary will be Published in October 2014. Model of the 23rd edition of the Dictionary of the Spanish language. Tercentenary Edition. Courtesy of RAE © Real Academia Española, RAE. The Spanish language continues growing steadily, whilst maintaining a linguistic unity. 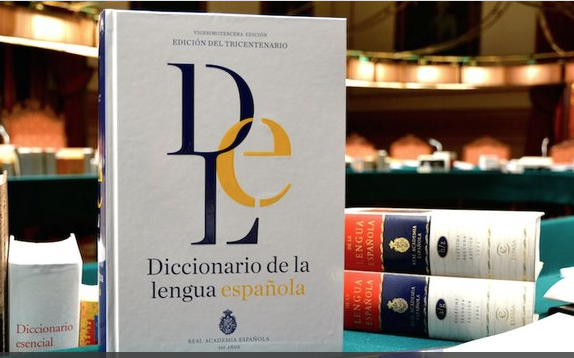 The 23rd edition of the Diccionario de la lengua española, Dictionary of the Spanish Language, will be released on 21 October this year, to commemorate the tercentenary of the Real Academia Española, RAE, Royal Spanish Academy. This is the result of painstaking work undertaken by 22 Academies that are part of the Asociación de Academias de la Lengua Española, ASALE, Asociation of Spanish Language Academies. Large numbers of new words have been included in the dictionary, some of them coming from the USA. This new edition includes new words such as “jonrón”, which comes from the English “home run”. The 23rd edition of the Spanish Dictionary will be published in one volume. It will have 2,400 pages and it will contain more than 93,000 articles of which 6,000 are new. The size of the dictionary will be of 17,5 x 26 centimeters. A two volumes version will be published, as well as one special edition for collectors. 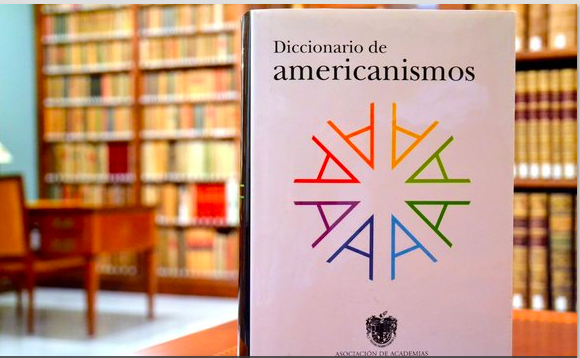 This new edition is to follow three key new works: Nueva gramática de la lengua española, the Spanish Language Grammar, the Ortografía de la lengua española, the Spanish Language Orthography and the Diccionario de americanismos, the Americanism Dictionary. The launch in October of the new Diccionario de la lengua española will consolidate a Spanish linguistic doctrine. This is the result of great efforts to maintain consistency amongst the Spanish language world. The Dictionary of Americanisms is the result of years of work of language academies. Courtesy of RAE © Real Academia Española, RAE. In the 18th century, at the time of publishing the Diccionario de Autoridades, the Authorities Dictionary, words considered “indecent” were censored. Nowadays, paradoxically, “political correctness” appears to attempt to influence and dictate which word should be or not be published. The Spanish Academies have a clear role to play: they reflect the language, which is in use regardless. The secretary of the RAE is very clear on this: “we have ensured that the dictionary reflects a secular society, in which different religious beliefs and social groups interact. The dictionary does not promote, nor publicize words”; and concludes, “if the censorship of the 18th century would be unacceptable today, it would also be unacceptable for any other censorship to apply”. Thanks to the advances in technology it is now much easier, to register all the linguistic variations, from any media, from where the Spanish language is expressed today. Since 1995, the Corpus del Español del Siglo XXI, the 21st Century Corpus of Spanish, has constituted a magnificent database in which 25 millions works are included each year. Its facilitates the research of Spanish Academies teams and the production and publishing of several specialised dictionaries, grammar and spelling books. The controversy about some of the words published in the new dictionary continues, however, we must admit that a language exists through its words. The language is not in itself good or bad, however, it transmits and reflects our beliefs and we use them to say a truth or a lie, to insult or to praise; and a dictionary cannot be built with what some may believe are good words or the best. 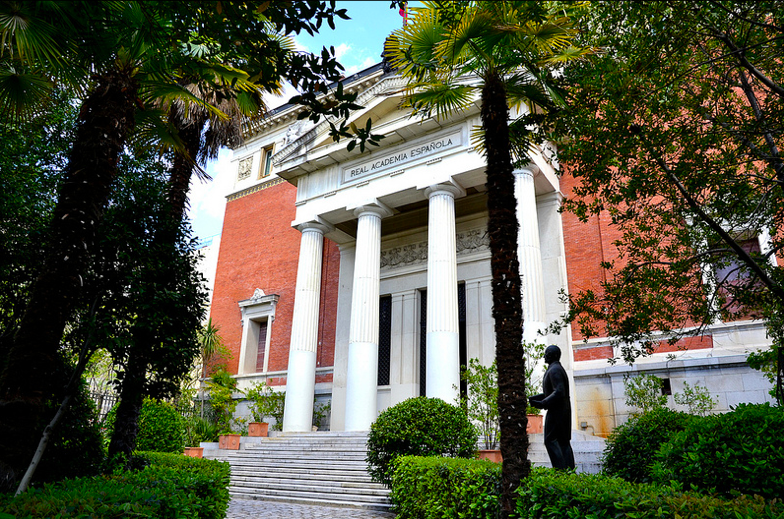 Building of the Royal Spanish Academy opened in 1894. Courtesy of RAE © Real Academia Española, RAE. Dear Adrian, congratulations. I see the Hoxton Spanish site growing heathy and solid.Its contents are atractive and useful. A hug of Hugo from Peru. I loved your post. Many thanks again.